Corruption is a big problem for a modern Ukraine today, what was one of the most important tools for supporting Moscow under control of post-soviet countries. The following thought was expressed by Head and Father of Ukrainian Greek Catholic Church His Beatitude Sviatoslav in his report “The role of Ukrainian Greek Catholic Church in Ukrainian society transformation” during the conference in Warsaw called “Revolution, war and its consequences” on March 16, 2018. “Attempts to reduce corruption on a governmental level are taken, however there is a necessity to reduce it on a personal level as well. Loyalty, shown regarding some corruption manifestations within personal relationships, is a consequence of an attitude what appears due to a defensive mechanism against a totalitarian state, considered to be foreign and unfriendly. 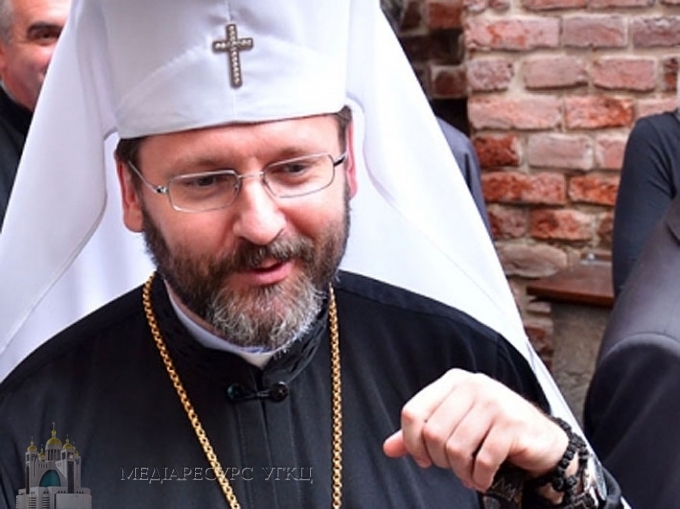 It requires work with changing awareness, so every citizen be sure that Ukraine is not a foreign country for them, but a country which defends them, guarantee them future, security and prosperity”, said Head of Church. Talking about a successful transformation of Ukraine into a democratic state, Head of UGCC stressed out that we need to crave for solidarity and subsidiarity, so state may not control everything. “The development of private enterprises, - a spiritual leader of Greek Catholics assumes, - and a middle class, what allows people to establish means for maintaining a decent life. This is something they have crave for. One of the tools needed for reaching goals are education and science. It is impossible to form a new generation without universities. A generation that will be able to take responsibility for a country. That is why cardinal Lubomyr Husar founded Lviv Catholic University, the first catholic university on the territory of former Soviet Union”. “Until young generation master an ability to hold a newspaper in one hand and Scriptures in the other hand, they won’t be able to initiate a social dialogue, required for making reforms. We need young entrepreneurs who will realize their potential and become leaders of economics raise of Ukraine, guided by social doctrine of Church”, outlined His Beatitude Sviatoslav. According to his words, Ukraine enters a phase of development and acquires the greatest experience of pain and hope, what it can share with its neighbors, both on East and West. “We are witnessing a birth of something new in Ukraine, what is optimistic, as this something we call a new life, far more better than it used to be before”. The visit of His Beatitude Sviatoslav to Poland lasts from 14 to 18 of March, and during this time he is going to visit Warsaw and Krakiv.